The 2016 movie Doctor Strange tells us of Stephen Strange’s clash with his fellow sorcerer Kaecilius. According to Kaecilius’ dogma, time is life’s mortal enemy. This belief is what drives him into the servitude of Dormammu, the ruler (or quasi-deity) of the Dark Dimension, where time does not exist. 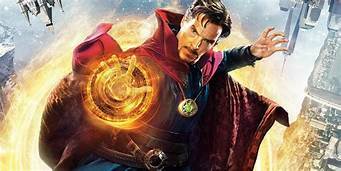 This point is reiterated by Doctor Strange himself when, in the movie’s final act, he enters the Dark Dimension and gives Dormammu a taste of our own dimension by trapping him in a time loop. Since, in Kaecilius’ words, the Dark Dimension is “a place beyond time, beyond death,” he believes that Dormammu’s realm is where eternal life can be attained. However, the Dark Dimension is not portrayed as a place where everything is simply frozen in time, as one might first suspect when hearing Kaecilius speak of it. The absence of time is usually associated with the absence of the passing of time, but this does not describe the Dark Dimension. There, we see “befores” and “afters”: there is movement, there are actions and events, and there are sequences of moments, all things that underwrite the concept of time in our dimension. Dormammu himself clearly thinks and speaks, acts and reacts. Undoubtedly, there are chronologically ordered events happening in the Dark Dimension. But why, then, does Kaecilius’ talk about the Dark Dimension as if it exists beyond time and ensures eternal life? Kaecilius tells Strange, “You are a scientist; you understand the laws of nature. All things age, all things die. In the end, our sun burns out. Our universe grows cold and perishes.” Here, he does not talk so much about time itself as he talks about a kind of finiteness resulting from decay. And while decay only happens in time, the fact that there are sequential events in the Dark Dimension suggests that it somehow lacks a certain kind of decay. In other words, Kaecilius implies that it’s a difference in natural laws that keeps living things in the Dark Dimension from decaying the way they do in our dimension. He isn’t referring to anything inherent in life forms themselves, such as a genetic aging process. Instead, he’s talking about natural laws that act on living things, and as his example of the sun burning out makes clear, he talks about those which counteract maintaining an energetic, structural and systemic status quo. In living organisms—and also in artificial systems, such as thermostats keeping a room temperature constant—this internal regulation that maintains a status quo is called homeostasis. Perhaps what Kaecilius is most concerned with in his own dimension is the process of death and decay that physicists refer to as entropy. The second law of thermodynamics states that without a constant expenditure of energy, the state of disorder in a natural system grows over time as it loses energy. Rather than merely describing what seems to happen in our own living rooms, this law means that, in time, thermodynamic equilibrium grows until it reaches a maximum, unless additional effort or energy is used to forestall this descent into chaos. If we understand this principle, we start to get a scientific understanding of the nature of life. For millennia, there has been a temptation to think of the distinction between living and non-living things as resting on some “vital spirit.” Modern physics, however, assures us that no such spirit is needed in order to explain how things come to be alive. Instead, life is taken to be explainable by “non-equilibrium thermodynamics,”which says that living organisms are systems that actively maintain their inner structure by absorbing energy from their environment and thereby manage to withstand reaching an energetic balance with their (inorganic or “dead”) surroundings during their life span. It is only in death that an organism eventually succumbs to entropy, or disorder. In order to maintain homeostasis and counteract the constant energy drain imposed on them, organisms must draw on external energy, for example by consuming food or absorbing light. Indeed, the life-forms on earth most familiar to us draw their energy from the sun: the sun feeds plant life, plant life feeds animals, and animals feed other animals. 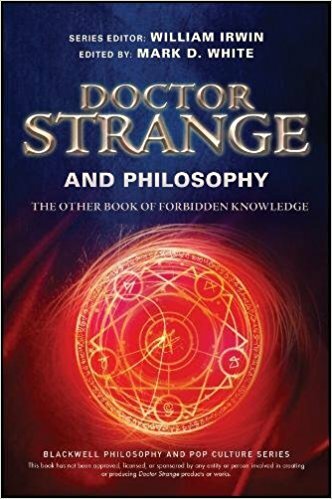 Coming back to Doctor Strange, a Dark Dimension in which life can exist in abundance because there is no decay or entropy (as in our universe), would be what philosophers call a metaphysically possible world. According to philosopher David Lewis’s theory of possible worlds (as described in his 1986 book On the Plurality of Worlds), theoretical possibilities in our own world can also be considered to be actual facts in so-called “possible worlds.” Using this theory, we can distinguish between different kinds of necessity, such as necessities which depend on natural facts, e.g. on the obtaining of a law of nature, or conceptual necessities, such as “all bachelors are unmarried”. For instance, if thermodynamic equilibrium is necessary by natural law, then this happens in all worlds in which the relevant laws of nature obtain. Such worlds are called “nomologically possible worlds” (derived from the Greek word “nomos”, meaning “law”). In other words, if something is a law of nature in our world, such as the second law of thermodynamics, then it is a natural law in any nomologically possible world as well. Possible worlds which do not adhere to our natural laws may still be “metaphysically possible”: they are, in this sense, “above” physics. One further hint that the Dark Dimension is a metaphysically possible world is its visual depiction, as well as its very name: Perhaps the Dark Dimension’s darkness can be explained as reflecting a difference in how energy is expended, including energy in the visible spectrum. And if the expenditure of energy in the Dark Dimension is not facilitated by an analogue to our second law of thermodynamics, then the basis of life, namely organismic homeostasis, could be maintained without decay. However, we also know that the Dark Dimension hungers to devour other dimensions. So perhaps entropy only seems to have no effect on its denizens because the Dark Dimension is itself a kind of homeostatic organism, a system which maintains its internal structure by feeding on external energy hailing from other dimensions. But if this were the case, then Dormammu could only grant Kaecilius’ wish of attaining immortality if the available energy in at least one accessible dimension were infinite. We do not know whether this assumption is available to Kaecilius, nor does the movie give us reason to believe that this assumption is a necessary reason for Kaecilius’ conviction that the Dark Dimension provides eternal life. Moreover, we know from the Ancient One that Dormammu’s eternal life is in fact “torment”, and so Dormammu’s unending hunger, his need for energy, might not reflect any familiar kind of energy expenditure associated with organismic metabolisms after all. Hence, we are given sufficient reason to think that the Dark Dimension is not a nomologically possible world. But it is still a metaphysically possible world. And that’s all we need for it to make sense in the movies! Joachim Lipski is a researcher and lecturer at the Munich Center for Neurosciences – Brain & Mind, Ludwig-Maximilians-University Munich. He is particularly interested in the philosophy of cognitive science. Beyond academia, he writes and illustrates comic books such as Holon and signifikat. Lewis, D. (1986). On the Plurality of Worlds. Oxford & New York: Basil Blackwell.